Hello, it’s Minki Kim from Minki’s Work Table. I have three young girls and whenever a birthday invitation arrives, my handmade zipper pouches are ready to leave for a new home. They are always appreciated gifts and we love to make them! Today I’m sharing with you how to make my Hexie Block Zip Pouch using my hexagon cheater print from my Serendipity collection. Hexie print fabric is a quick way to whip up this pouch. You could also hand stitch some EPP (English paper pieced) hexies of your own design. 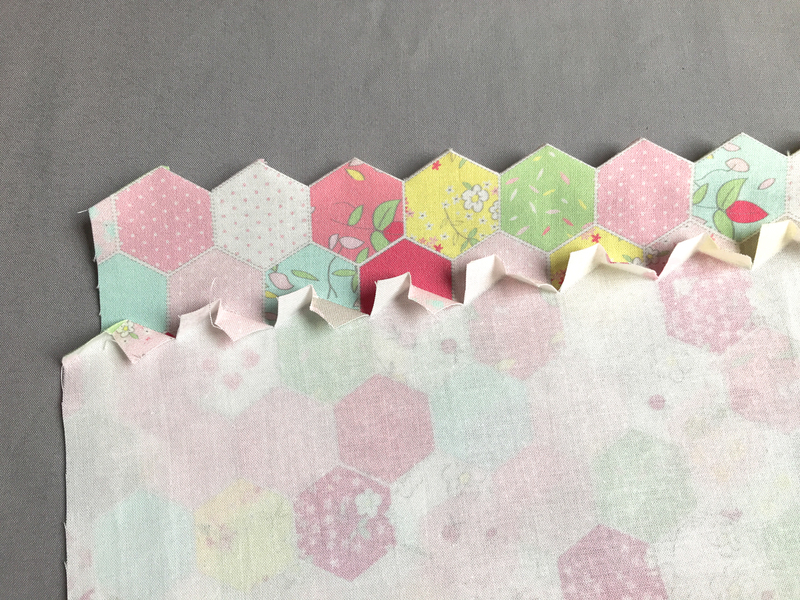 I’ve also created an easy Hexagon Pillow tutorial and Easy Hexie Bag and Pouch if you are interested in more hexagon print projects! 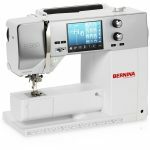 *All seam allowances are 1/4” unless otherwise noted. 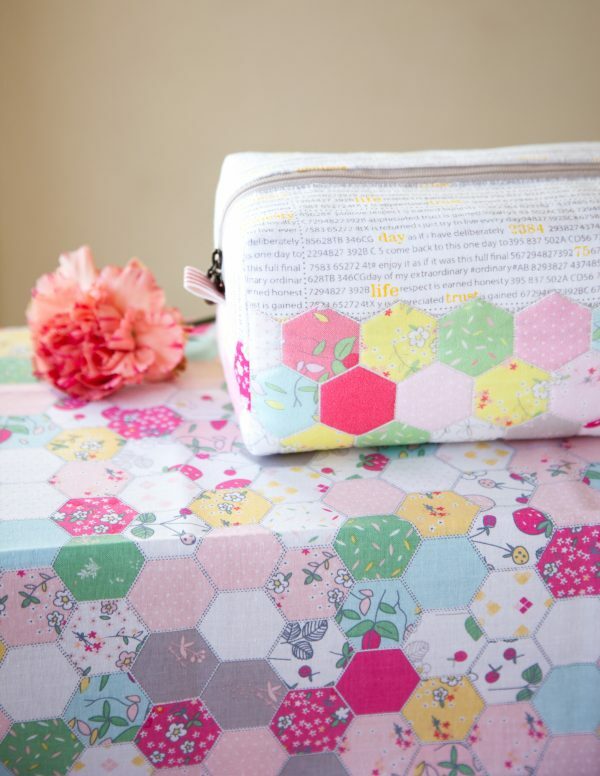 Take one hexagon print fabric rectangle. 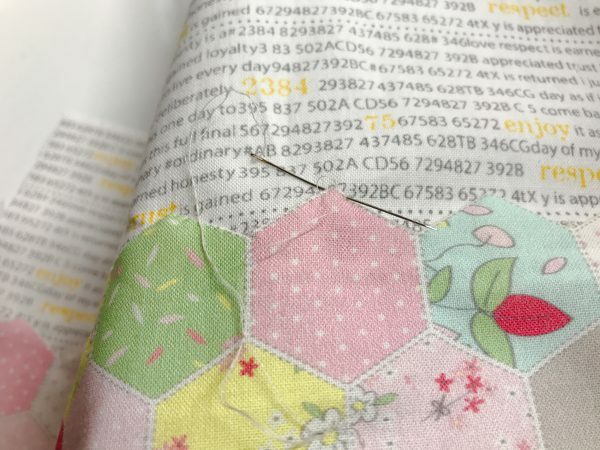 Mark a 1/4” seam line along one long edge, following the outlines of the hexagons. Clip the points that will fold in. 2. Turn under the seam allowance and press. 3. Apply a line of double-sided fusible tape along the inner edge of the seam line. 4. Take one text print fabric rectangle and place it right side up. Mark the guide line 3” down from the top long edge of text print using a temporary fabric marking pen. 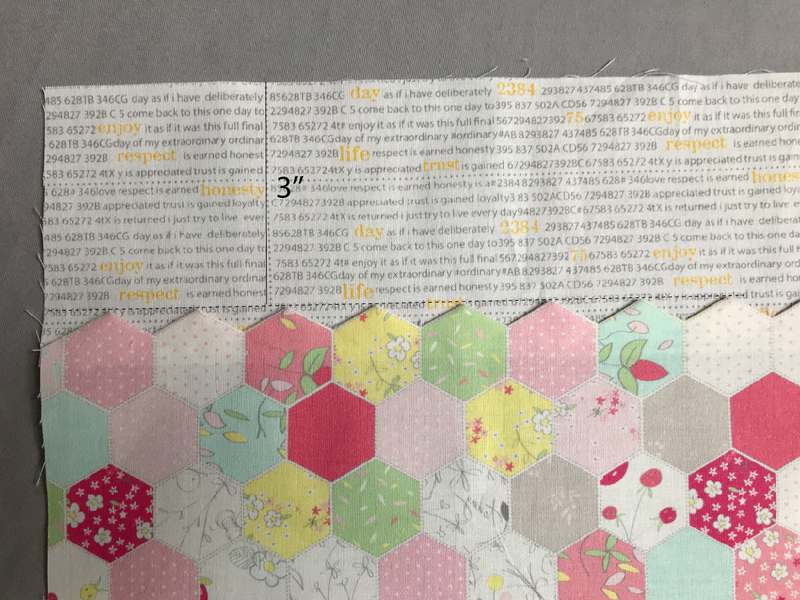 Place the hexagon print piece from step 3 on top, right side up, overlapping the fusible tape edge with the text print, along the guide line. 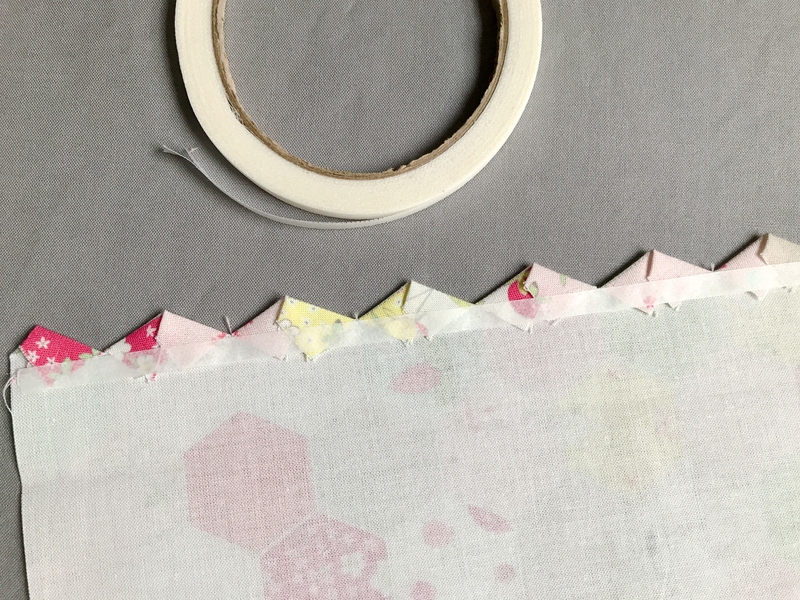 Fuse the hexagon print piece in place. 5. 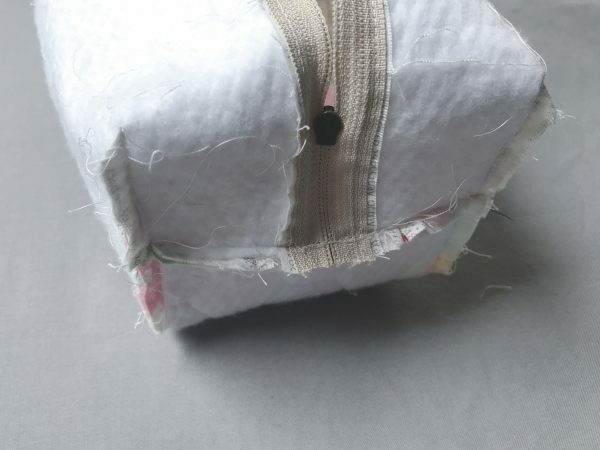 Hand stitch to secure. Trim to 13” x 8 3/4”. Repeat steps 1 through 5 to make one more side. 6. 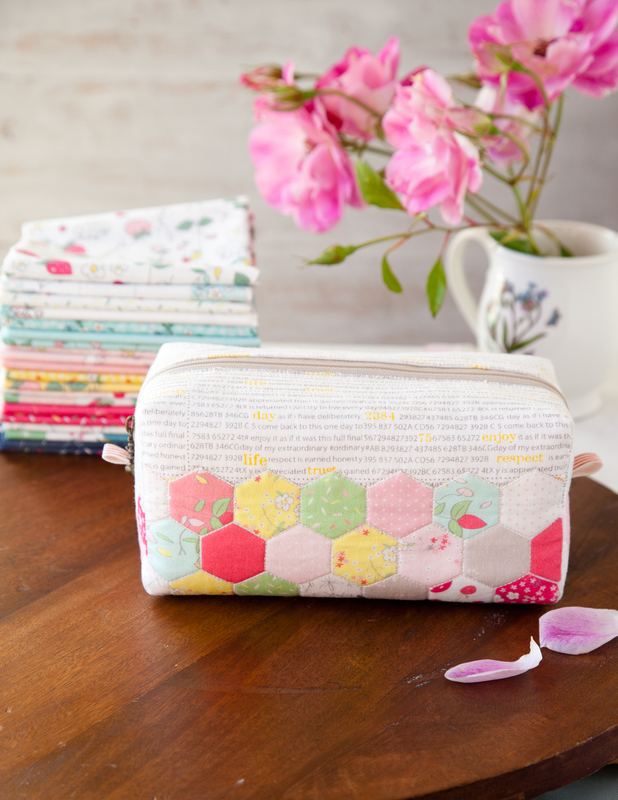 Sew two pouch pieces aligning long raw edges of hexagon prints with right side together. Fuse the fusible fleece, centered, to the wrong side. 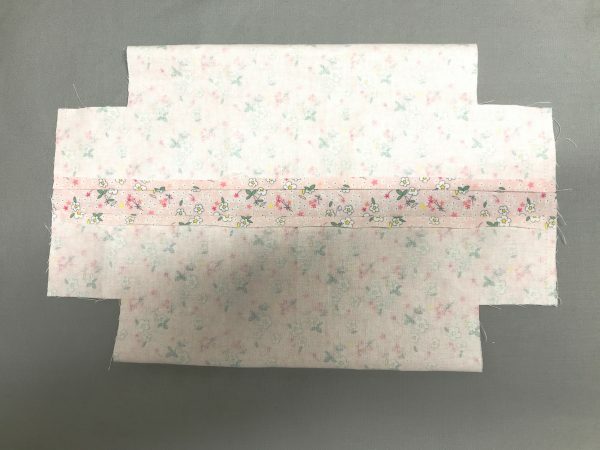 Trace the pouch pattern and trim the excess. 7. 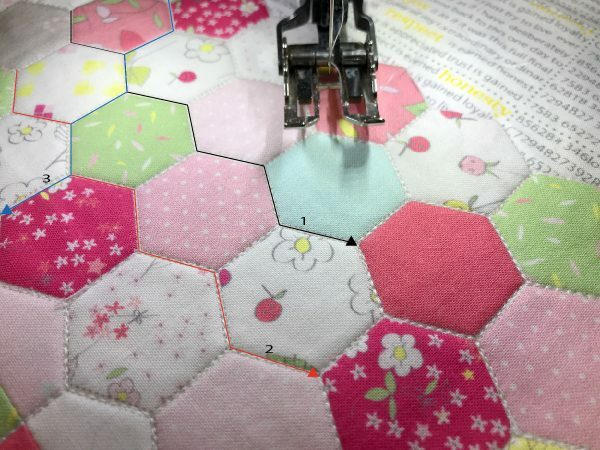 Quilt the hexagon print by following the printed lines on the fabric. 8. Pin the zipper in place on the raw edge of the text print pouch top, right sides together. 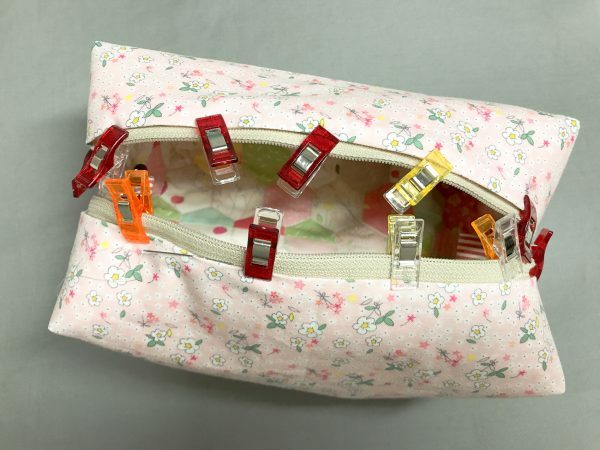 Sew the zipper using a zipper foot. 9. 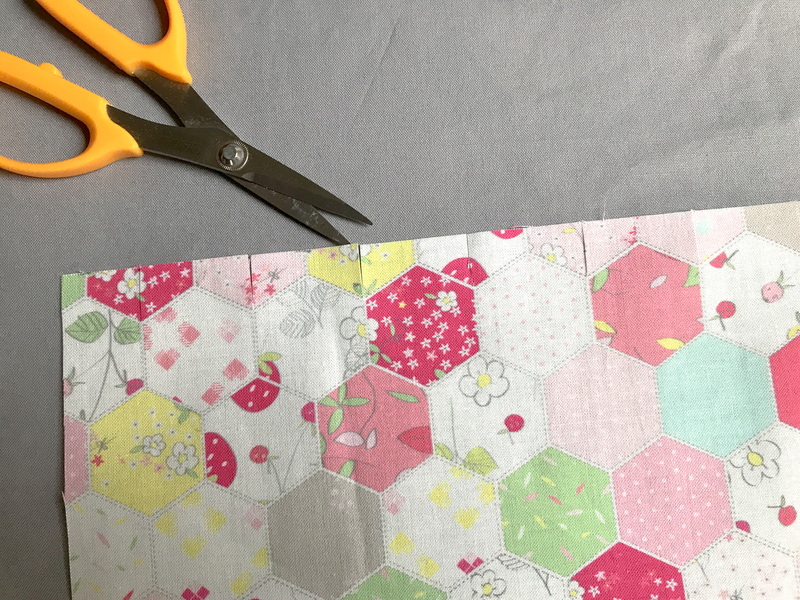 Turn the pouch wrong side out and match up the raw edge of the zippered top and the raw edges of the hexagon and pin in place. Fold the cotton ribbon in half and insert the folded edge between the pieces, centered over the zipper. Sew them together. Repeat on the other side. Sew the remaining sides. 10. Press each long end of the lining fabric 1/4” toward the wrong side. Place the lining piece right side up. Withe right sides together, match the corners of the 2 ends to the corners of the side tabs. Pin and sew. Repeat on the opposite side. 11. Trun the lining right side out. 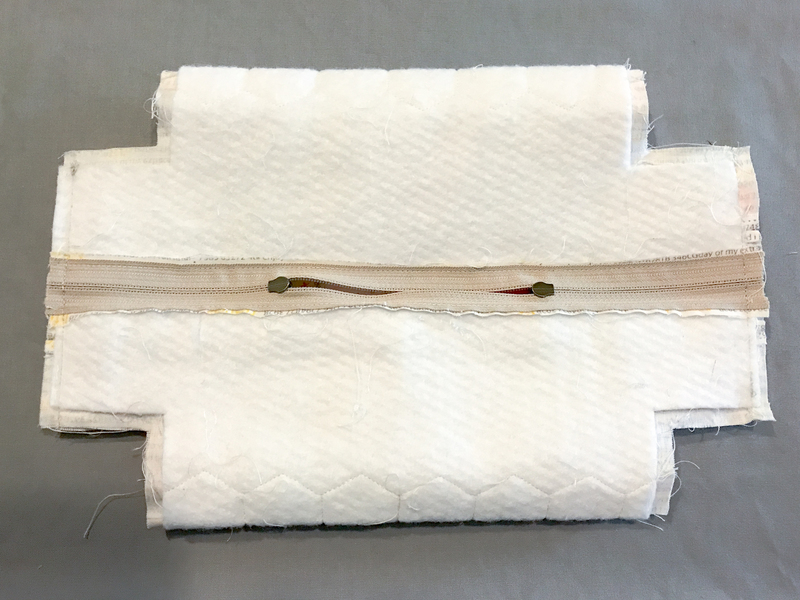 Slip the outside pouch into the lining, wrong sides together. 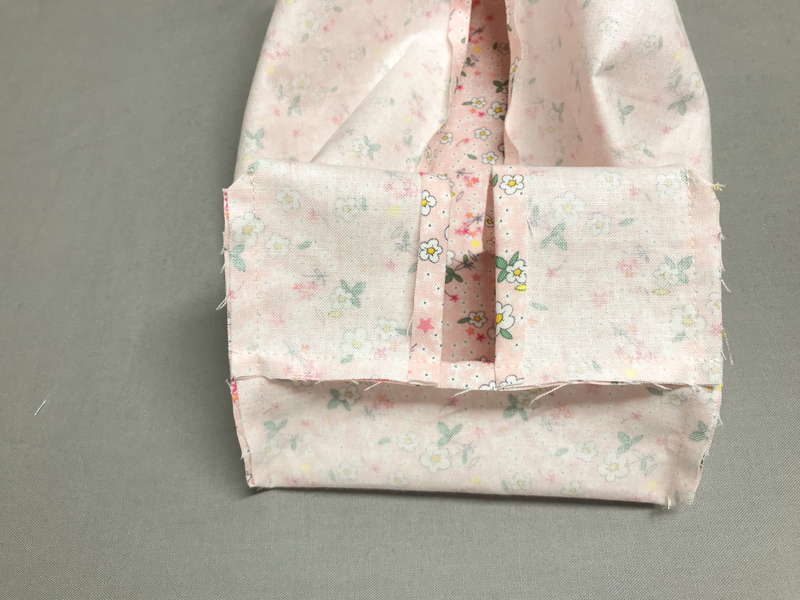 Pin the lining to the zipper, folding the raw edge to the inside, and hand stitch in place. Turn the pouch right side out. For more step pictures, please find my Block Zipper Pouch post on my blog. 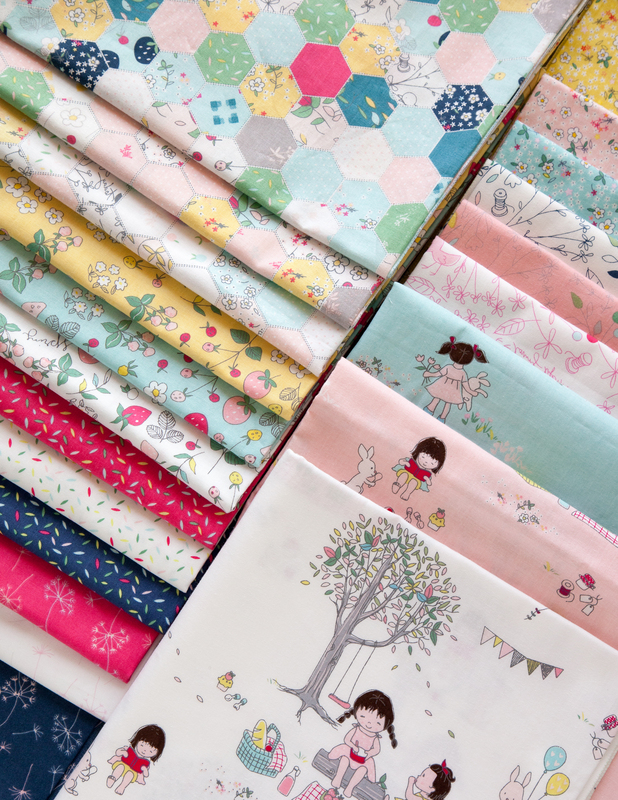 My second fabric collection Serendipity for Riley Blake Designs is just out to the stores now and it has three shades of hexagon cheater prints. 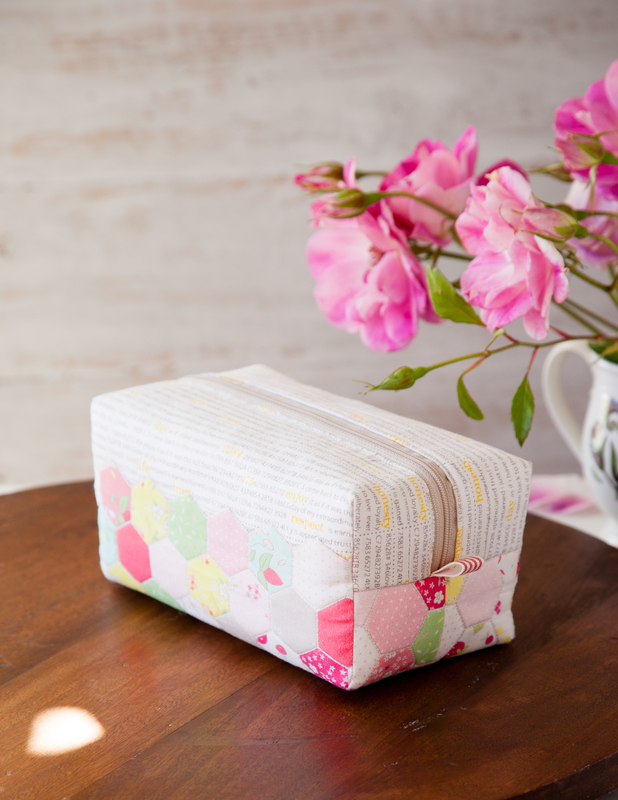 I hope you enjoyed my Hexie Block Zip Pouch tutorial. Find more sewing ideas on my Instagram @zeriano . 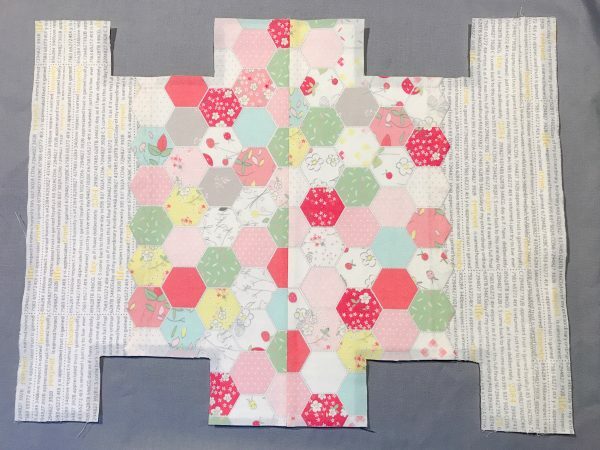 I would love to know how you quilted the hexagons. It seems like you would have to start and stop a lot. Is there a trick to it? The cutting measurements for the fabric are wrong. They should read 16 inches x 51/2 for the hexagon fabric and 16 inches by 5 for the other fabric, otherwise the pattern does not fit. 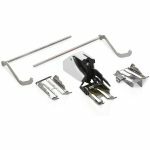 Why would you need a 16 inch zip for a 13 inch gap? Feeling vey cross that I didn’t check before I cut fabric but do think someone should be checking these things before they are but on here.